50's Band Rock & Roll Show Band Portland, Oregon. 50's Rock n' Roll, 60's R & B, and Blues Band Portland Oregon. Hire the Boomer Band for your Oregon, Washington or Idaho event, wedding or fundraiser. Winner of The Golden Web Award! Copyright ©1987-2012 Boomer Band LLC. Boomer Band, a Northwest event Band and 50's rock n' roll Band that performs throughout Oregon, Idaho and Washington: Aberdeen, Albany, Astoria, Beaverton, Bend, Cannon Beach, Colton, Coos Bay, Eugene, Everett, Florence, Gresham, Keizer, Kirkland, Klamath Falls, Lincoln City, Longview, Lake Oswego, Longview, Oregon City, Madras, Medford, Newport, Olympia, Portland, Port Angeles, Redmond, Richland, Salem, Seaside, Seattle, Spokane, Tacoma, The Dalles, West Linn and Yakima. Salem Oregon Band, Central Oregon Band, Oregon Coast Band, Lincoln city Band, Seaside Band, Beaverton Band, Forest Grove Band, Redmond Oregon Band, Bend Oregon Band, Washington Band and Cannon Beach Band. Boomer Band is a professional Oregon 50's rock n' roll Band, corporate party Band, Oregon musicians, Convention Entertainment Band, Casino Band, Charity fundraiser Band, fundraiser entertainment, casino entertainment, casino musicians, 50's Band, Variety Band, fifty's Band, theme Band, top 40 Band, Rock and Roll Band, bules Band, Fun Band, Party Band, interactive Band, Convention Band, 50's rock n' roll Band, Oregon Band, Washington Band, Vancouver Band, British Columbia Band, Las Vegas Band, Las Vegas Musicians, Cruise ship entertainers, cruise ship entertainment, musician for hire, Band for hire, Portland Band, Portland, Oregon Band, Seattle Washington Band, Idaho Band, Kirkland Washington Band, Tacoma Washington Band, Cannon Beach Bands, Lincoln City Band, Sisters Oregon, Band and Portland Oregon Bands. Boomer Band provides Portland Oregon Entertainment, Portland Oregon Nightlife, Portland Oregon Music. Our Band will perform music in Tacoma, Seattle, Kirkland, Bellingham, Spokane, Vancouver, Longview, Astoria, Eastern Washington, Eastern Oregon, Central Oregon, Central Washington, Swan Islands, Victoria, Port Angeles, Portland, Eugene, Beaverton, Clackamas, West Linn, Lake Oswego, Lincoln City, Oregon Coast, Cannon Beach, Seaside, Bend, Sunriver, Redmond, Madras, Sisters, Grand Rhonde, Salem, Tualatin, Aloha, Forrest Grove, Milwaukee, Oregon City, Gresham, Troutdale, Bridal Veil, The Dalles, and Hood River to name a few. We welcome work outside of Oregon and Washington including: Cruise ships, cruise ships, ship entertainment, casino entertainment, Las Vegas and Lake Tahoe. Boomer Band will play and travel anywhere. We play concerts, holiday concerts, weddings, parties, clubs, festivals, fairs, nightclubs, vineyards, backyards, conventions, fundraisers, retreats, special events, Hotels, ballrooms, proms, Dances, private theme parties, bars, restaurants, Corporate Christmas Parties, Class Reunions, Graduation parties, Downtown events, country clubs, Hotel Bars, Community Events, Art Festivals, Boat Shows, Home and Garden Shows, Halloween parties, Fourth of July Parties, Sales Seminars, business meetings, Xmas Parties, and holiday events. The Portland dance Band performs at many Portland, Seattle & Idaho convention entertainment events. Boomer Band has performed for countless customers and venues including: SPECIAL OLYMPICS, WILLAMETTE UNIVERSITY, PORTLAND ROSE FESTIVAL ASSOCIATION, CITY OF VANCOUVER PARKS & RECREATION, SPIRIT MOUNTAIN CASINO, MULTNOMAH HOT ROD COUNCIL, CITY OF MCMINNVILLE, NEHALEM VALLEY SPEED & BEAUTY CAR CLUB, LANE COUNTY FAIR, DAYTON CHAMBER OF COMMERCE, WALLA WALLA DOWNTOWN FOUNDATION, CHILDREN'S CANCER SOCIETY, YAMHILL COUNTY FAIR, QUINUALT BEACH RESORT & CASINO, HOWARD JOHNSON HOTELS, SHUTE PARK CONCERT, OVMA CONVENTION, PACIFIC UNIVERSITY, PORTLAND ROADSTER SHOW, TOLEDO SUMMER FESTIVAL, EDGEFEILD CHILDREN'S CENTER, OREGON STATE ASSESSMENT ASSOCIATION, YAMHILL DERBY DAYS, WENATCHEE DOWNTOWN ASSOCIATION, HILLSBORO ELK'S LODGE #1862, INTERNATIONAL PINOT NOIR FESTIVAL, CARLTON FUN DAYS, THE DOUBLE TREE INNS, ST PETER'S CHURCH, RAMADA PLAZA HOTELS, DAYTON HUDSON CORPORATION, NEWBERG OLD FASHIONED FESTIVAL. We are happy to serve talent Agents, talent scouts, booking agents, artist management companies, independent agents, Meeting Planners, Boomer Band is perfect for Concerts, Conventions, Festivals, Wedding Receptions, Fairs, Nightclubs, Fundraisers, Corporate Parties, Holiday parties, private parties, galas, grand openings, cruise ship entertainment, and anniversaries. Band Wedding Music Information includes wedding Reception Entertainment, backyard weddings, vineyard weddings, outdoor weddings, garden weddings, Oregon coast weddings, black butte weddings, skamania lodge weddings, Columbia river gorge weddings, and Sunriver. Boomer Band performs at many weddings: 50's rock n' roll Bands, Wedding Reception Entertainment, 50's rock n' roll Bands, Puget Sound Weddings, Washington Coast Weddings, Longview weddings, Astoria Weddings, Oregon City Weddings, Lincoln City Weddings, Skamania Lodge Weddings, Columbia River Gorge Weddings, Hood River Weddings, Oregon Vineyard Weddings, Oregon coastal weddings, country club weddings, ballroom weddings, hotel wedding receptions, outdoor weddings, garden wedding and vineyard weddings. Our showBand performs at conventions, tradeshows, at the Oregon convention center, the Seattle convention center, trade shows and at the Portland Expo Center. 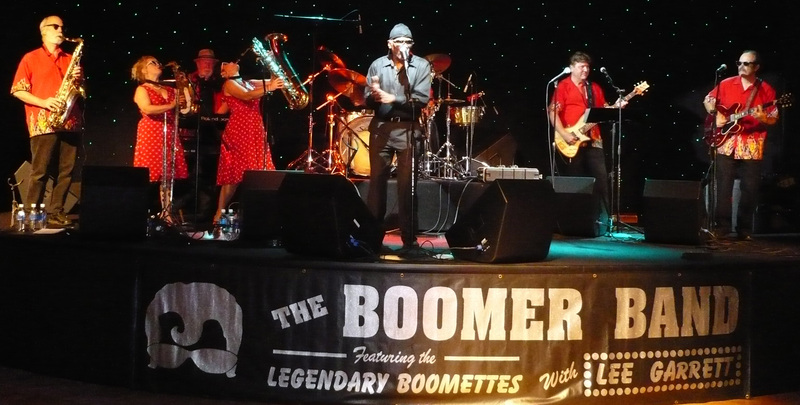 Boomer Band is perfect for Concerts, Conventions, Festivals, Wedding Receptions, Fairs, Nightclubs, Fundraisers, Corporate Parties, Holiday parties, private parties, galas, grand openings, cruise ship entertainment, and anniversaries. Boomer Band the Band, Band Wedding Music Information includes wedding Reception Entertainment, Wedding Ceremony, Weddings, 50's rock n' roll Bands, Wedding Reception Entertainment, 50's rock n' roll Bands, Seattle Washington Weddings, Portland Oregon Weddings, Salem Oregon Weddings, Eugene Oregon Weddings, Bend Oregon Weddings and Tacoma Washington Weddings. Boomer Band is a Portland Oregon Band, Seattle Oregon Band, national anthem vocalists, sporting event singers, sporting event vocalists, corporate party entertainer, private party singer, convention singer, convention entertainer, cruise ship singer, cruise ship vocalist, jingle work, professional vocalists, professional entertainer. DeeJays, DJ's, DJs, D.J., wedding DJ's, Oregon DJs, new years eve party, new years eve DJ, professional Band, professional musicians, professional Bands. We perform in stadiums, concert halls, theatres, nightclubs, wedding reception locations, festivals, fairgrounds, country clubs, prom halls, theme parks, convention centers, conference centers, hotels, hotel lounges, casinos, shows and private events. Concerts, Wedding Entertainment, 50's rock n' roll Band, Wedding Reception Band, Band, Top Forty Band, Wedding Music, Convention Entertainment, Party, Christmas Party, Xmas, Christmas Party, Band, Corporate Christmas Party Entertainment, Corporate Entertainment, Halloween Band, New years Eve Entertainment, New years Eve Party, New Years Eve Band, tribute Band, Reception, 50's rock n' roll Band, Band Wedding, Band, Wedding, Concert, Convention, Portland Oregon Convention entertainment, Wedding entertainment, wedding planner, Planning a Wedding, Portland 50's rock n' roll Band, Oregon dance Band, Oregon entertainment, Casino Entertainment, Band, Bands, variety Band, convention planners, bridal planners, wedding planners, corporate event planners and Corporate Conventions. We are perfect entertainers for wedding reception entertainment, wedding music, first dance, Portland nightlife, Eastern Oregon, special event, Sixties, Seventies, Eighties, Nineties, local Band, local Bands, theme party, theme parties, show Band, show Bands, ceremony, ceremonies, Portland area, theme park entertainment, convention entertainment, night club, entertainment, best, top, play, playing, weekend, performances, live performance, nightlife, night life, hot, hottest, pop, pop music, bar mitzvah, bat mitzvah, karaoke, lounge, lounges, bar, bars, Rock bars, talent, fine, finest, jam, jam Band, nightspot, nightspots, downtown Portland, soloist, soloists, recommend, recommendation, appear, appearance, appearances, concert, in concert, live in concert, record, records, recording artist, recording artists, Blues, concert listings, stage, on stage, best, better, good, emcee, emcees, scene, entertainment needs, corporate Christmas parties, corporate entertainment of all types, theme parties, seventies theme parties, 80's theme parties, sixties theme parties, fundraiser entertainment, New Years Eve Band, Vocalist, ship entertainment, cruise entertainment, casino Band, casino entertainment, wedding planners, business entertainment, company parties, company entertainment, Portland convention entertainers, Portland Convention entertainment. Angela Todd, professional singer, professional vocalist, lead singer, front, singer, wedding singer, entertainer, professional entertainer, wedding singers, vocalists, wedding ceremony singers, wedding ceremony vocalist, national anthem singers, Entertainment Agent, Entertainment Agency, Talent agent, Band, Hire, Book, Party, Boomer Band does it all. We perform hit music from many artists including: Sister Sledge, Gloria Gaynor, Bonnie Raitt, Frank Sinatra, Judy Garland, Village People, Donna Summer, Diana Ross, Blondie, Talking Heads, Billy Joel, Aretha Franklin, KC and the Sunshine Band, Chic, Sheryl Crow, Santana, Brian Seltzer Orchestra, Madonna, No Doubt, Nora Jones, Billy Idol, David Bowie, Pink, Melissa Etheridge, Tina Turner, B 52's, trade show entertainers, trade show entertainment, Washington 50's rock n' roll Band. Boomer Band, Portland, Oregon music, live music, live Band, Bands, musicians, wedding musicians, entertainment, live entertainment, wedding, weddings, 50's rock n' roll Band, 50's rock n' roll Bands, wedding reception Band, Portland entertainment, Oregon Entertainment, variety Band, Top 40 Band, Portland nightlife, convention Band, convention Bands, Boomer Band the Band, Angela Todd, Portland singer, Portland vocalist, singer, singers musical act, musical acts, wedding singer, Paula Abdul, Genesis, Fine Young Cannibals, Paula Abdul, Kool & the Gang, Ella Fitzgerald, Harry Connick Jr., Nat King Cole, Judy Garland and much more. Attention: Booking Agents, Meeting Planners, Talent Agents, Talent Agency, Talent Agencies, Wedding Planners, Banquet Managers, Nightclub Managers, Restaurants, Nightclubs, Class Reunions, Club Manager, Musicians, Entertainers - Boomer Band specializes in dance entertainment for all ages. Boomer Band is a premiere variety Band choice for Oregon Conventions, special event entertainment, special event entertainers, wedding entertainment, Portland Band, Portland Oregon Band, Oregon entertainment, Oregon wedding entertainment, wedding singers, party, parties, wedding reception, Top 40 Rock, Top 40/Rock, Top 40, event, events, DJ, DJ's, DJ services, Dee Jay, Disc Jockey, production, productions, duo, duos, trio, trios, ensemble, corporate Band, corporate Bands, corporate entertainment, convention, convention music, specialty acts, artist, artists, cover Band, cover Bands, booking agent, booking agency, booking agencies, deejays, solo act, solo acts, service, services, disc jockey, event planner, event planners, professional, professionals, wedding specialist, specialists, specialist, quality, group, musical groups, vocalist, vocalists, wedding planner, variety, variety Band, variety Bands, wedding planning, banquet, banquets, coordinator, coordinators, festival, festivals, nightclub, nightclubs, club, clubs, private party, private parties, dance, dancing, ceremony, ceremonies, 60's, 70's, 80's, 90's, 60s, 70s, 80s, 90s, perform, performance, performer, performers, play, player, players, high energy, function, show, shows, production shows, show Band, drum, drummer, guitar player, act, acts, Central Oregon, needs, Boomer Band, Portland Oregon, music, live music, Portland Band, Oregon Band, Washington Band, live Band, Bands, musicians, wedding musicians, entertainment, live entertainment, wedding, weddings, 50's rock n' roll Band, 50's rock n' roll Bands, wedding reception Band, 50's rock n' roll Band Oregon, 50's rock n' roll Bands Washington, 50's rock n' roll Bands, Vancouver 50's rock n' roll Band, Portland entertainment, variety Band, Top 40 Band, Orlando nightlife, convention Band, convention Bands, Boomer Band, party, Christmas parties, Holiday party, Holiday Entertainment, Holiday parties, Halloween party, Halloween parties, New Year's eve, New Year's Eve party, New Year's eve parties, New Year's eve Band, New Year's eve Bands, business entertainment, corporate party, planning a wedding, casino entertainment, A Band, Variety Band, Top 40 Band, Conventions, Festivals, Wedding Receptions, Fairs, Nightclubs, Party, Band Wedding Music Information, Wedding Reception Entertainment, Weddings, 50's rock n' roll Bands, Wedding Reception, Entertainment, 50's rock n' roll Bands, Seattle Washington Band, Washington Band, Tacoma Band, Tacoma 50's rock n' roll Band, Washington 50's rock n' roll Band, Convention, Entertainment Band, Variety Band, Fun Band, Party Band, Event Band, Convention Band, Las Vegas Band, Portland Band, Wedding Entertainment, 50's rock n' roll Band, Wedding Reception Band, Cannon Beach Band, Bend Oregon Band, Eastern Oregon 50's rock n' roll Band, Oregon Coast Band, Central Oregon 50's rock n' roll Band, Top Forty, Wedding Music, Convention Entertainment, Events, Concerts, Party, Christmas Party, Xmas, Christmas Party, Band, Corporate Christmas Party Entertainment, Corporate Entertainment, Halloween Band, New years Eve Entertainment, New years Eve Party, New Years Eve Band, Reception, 50's rock n' roll Band, Band Wedding, Band, Wedding, Concert, Convention, Business Entertainment, Original Music, Portland Convention, Seattle Convention, Seattle Show Band, Portland Show Band, entertainment, Wedding entertainment, wedding planner, Planning a Wedding, Portland 50's rock n' roll Band, Casino Entertainment, Vancouver Washington, Vancouver WA, Band, Bands, American Band, variety Band, Entertainment Agent, Entertainment Agency, Talent agent, Book, hire, find, play, special events, Hotels, proms, Dances, bars, restaurants, Corporate Christmas Parties, Class Reunions, Graduation Parties, Downtown events, country clubs, Hotel Bars, Community Events, Art Festivals, Boat Shows, parties, Halloween parties, pool parties, Sales Seminars, planning, business meetings, Xmas Parties, Rock, Rock and Roll, Top Forty, Dance Music, Standards, disco, R&B, rhythm and blues, soul, soul music, Wedding Music, Blues, Originals Music, 60's, 70's, 80's, 90's, and today's music. Dance music for weddings, dance music for conventions, dance music for events, dance music for parties, dance music for fundraisers. Abernethy Center, Adrianna Hill Ballroom, The Benson Hotel, Black Butte Ranch, Bridal Veil Lakes, Camp Colton, Columbia River Gorge Hotel, Crystal Ballroom, Skamania Lodge, Elk Cove Vineyard, Embassy Suites Portland, Governor Hotel, Gray Gables, Haystack Gardens, Heathman Hotel, Hilton Executive & Conference, Kingstad Center, Lake Oswego Country Club,Melody Ballroom, Mt. Hood Bed and Breakfast, MAC Club, Multnomah Athletic Club, Oregon Coast Aquarium, Oregon Convention Center, The Oregon Zoo, Persimmon Country Club, The Portland Spirit, The Portland Yacht Club, Pumpkin Ridge Country Club, Red Lion at the Quay, Reed Opera House, Riverplace Hotel, River place hotel, Sunriver Grand Lodge, Tiffany Center, Timberline Lodge, Waverley Country Club, Waverly Country Club. 60s, 70s, 80s, 90s, current chart hits, The Portland Band, Orlando convention entertainment, performances in casinos, Country club Band, cruise ship ban, Jazz, Stadiums, PGE Park Entertainment, Festival Entertainment, Cruise Ship Entertainment, Cruise Ship Band, Cruise ship musicians, Concert Halls, Theatres, Nightclubs, Wedding Reception halls, Nightclubs, festivals, Fairgrounds, Country Clubs, State Fair Band, Prom Halls, Theme parks, Convention Centers, Conference centers, Hotels, Hotel Lounges, Shows, Fun Party Band, Audience participation and interaction, Audience, percussion instruments, tambourines, shakers, Boomer Band, Angela Todd, Rod Walker, fun, tasteful, professional, 100 %, 100%, reliable, experienced, affordable, 50's rock n' roll Band, Boomer Band,, Wedding Reception Entertainment, wide variety of music, Oregon, Washington, Seattle, Portland, Cannon Beach, Bend, Colton, Longview, Vancouver, Beaverton, Salem, Eugene, Salem Oregon 50's rock n' roll Band, Seattle Washington 50's rock n' roll Band, Convention, Nightclub, Wedding entertainment, Rock And Roll, Crystal Ballroom, Waverley Country Club, Waverly Country Club, Abernethy Center, Benson Hotel, Governor Hotel, The Governor Hotel, Riverplace Hotel, Riverplace, Adrianna Hill Ballroom, Adrianna Hill Ballroom music, Adrianna Hill Grand Ballroom, Convention, Concert, Nightclub and Wedding entertainment Bass Guitar, Lisa Mann, bassist, Drums, Percussion, Rod Walker, Guitarist, Guitar, John Macnab, Saxophone, jazz, Geoff Pfeifer, Vocalist, Vocals, Wedding Singer, Ceremony Singer, Wedding Ceremony Singer, Portland Wedding Singer, Oregon Wedding Singer, Ceremony vocalist, Oregon ceremony vocalist, Angela Todd vocalist, keyboard, piano, synthesizer, piano music, Steve Mariman, Booking Agents, Meeting Planners, Talent Agents, Talent Agency, Talent Agencies, Wedding Planners, Banquet Managers, Nightclub Managers, Restaurants, Nightclubs, Class Reunions, Club Manager, Musicians, Entertainers, convention entertainment, Oregon conventions, special event entertainment, Wedding Entertainment, convention entertainment, Portland Band, Washington entertainment, Portland Bands, entertainment, Band, Bands, Oregon disco Band, Oregon 70s Band, theme parties, 70s theme Band, seventies theme Band, disco Band, 80s Band, retro Band, theme Band, Variety Band, Portland variety Bands, Band, Oregon 50's rock n' roll Band, Top Forty Band, Central Washington, tribute act, tribute Band, Reception, Wedding entertainment, wedding planner, Planning a Wedding, Oregon Coast, Central Oregon, Entertainment Agent, Entertainment Agency, Talent agent, Hire, Book, Party, Oregon 50's rock n' roll Band, Portland 50's rock n' roll Bands, Oregon wedding, entertainment, Portland wedding entertainer, Oregon wedding entertainers Oregon 50's rock n' roll Band, Florida 50's rock n' roll Bands, Florida wedding entertainment, Florida wedding entertainers, wedding reception Band Seattle, wedding reception Bands Oregon, Portland party Band, Oregon party Bands, Oregon party Band, Oregon party Bands, Washington party Bands, Oregon cover Band, Portland cover Bands, Oregon local Band, Portland local Bands, Oregon talent, local talent, Portland, wedding coordinator Portland wedding coordinator, hire a Band in Oregon, Bands for hire in Portland, Oregon, Portland private parties, hire, book, play, find, event, special event, wedding ceremony, Oregon, Portland, wedding ceremony, wedding ceremonies Oregon, wedding ceremonies Portland, Portland wedding, ceremonies, graduation party, graduation parties, anniversary party, anniversary, parties, Portland birthday party, Halloween party, Washington, Portland, Oregon Halloween party, Oregon New Year's Eve, Band, entertainment, outdoor entertainment, pool party, pool parties, corporate Christmas party, corporate Christmas parties, wedding reception Band Portland, Oregon wedding reception Band, wedding reception entertainment Portland Oregon, Portland wedding reception, entertainment, most requested Band, most requested Bands, most requested Band in Oregon, Portland Oregon 50's rock n' roll Band, Portland Oregon 50's rock n' roll Bands, Portland Oregon wedding entertainment, Portland Oregon wedding entertainer, Portland Oregon wedding entertainers, Portland Oregon wedding reception Band, Portland Oregon wedding reception Bands, Portland Oregon wedding reception entertainment, Portland Oregon wedding reception entertainer, Portland Oregon wedding reception entertainers, Portland Oregon wedding reception, Portland Oregon corporate Band, Portland Oregon corporate Bands, Portland Oregon corporate entertainment, Portland Oregon corporate entertainer, Portland Oregon corporate entertainers, Portland Oregon private party, Portland Oregon private parties, Portland Oregon private party entertainment, Portland Oregon convention Band, Portland Oregon convention Bands, Portland Oregon convention entertainment, Portland Oregon convention entertainer, Portland Oregon convention entertainers, Portland Oregon wedding reception music, Portland Oregon wedding reception, musician, Portland Oregon wedding reception musicians, Portland Oregon, A Band, Variety Band, Top 50’s Band, Concerts, Conventions, Festivals, Wedding Receptions, Fairs, Nightclubs. Boomer Band plays 50’s Rock, Rock and Roll, Top Fifty’s, Dance Music, Standards, Swing, Wedding Music, Beach Music, Classic Rock, Blues, Disco, Motown, Rhythm And Blues, Soul, and most other styles of music from the 50's, Portland, Oregon, Seattle Washington, 50's rock n' roll Band, Portland Oregon, wedding reception Band, Portland Bands, Portland Band, Seattle Band, Seattle Bands, Oregon coast Bands, Oregon coast Band, central Oregon Band, central Oregon Bands, corporate Christmas party entertainment, corporate Christmas party Band, corporate entertainment, Halloween cover Band, first wedding dance, business entertainment, Portland Convention Entertainment, Band, Bands, Portland 50's rock n' roll Band, Oregon 50's rock n' roll Band, entertainment agent, entertainment agency, talent agent, booking agent, book a Band in Oregon, book a Band in Washington book a band in Idaho, wedding vendors in Oregon, wedding vendors in Washington wedding vendors in Idaho, entertainment agent, entertainment agents, talent agents, hire, book, party, Boomer Band the Band, Lee Garrett, Linda LeClair, Tina Crawford, Brian Hoyt, Brad Haskins, Steve Kravitz, Tom Baker, Michael LeClair we are reliable entertainment.